A worn and incomplete silver Roman denarius of Julia Domna (AD 193-217) dating to the period AD 196-211. 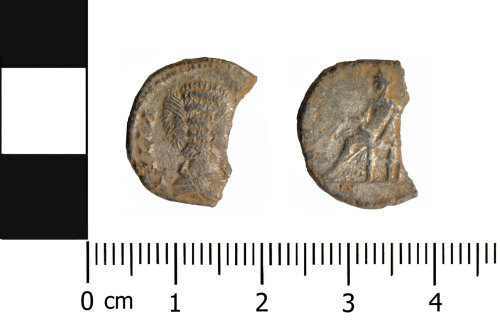 CERERI FRVGIF reverse type depicting Ceres seated left holding corn ears and vertical torch. Mint of Rome. Cf. RIC 4a, p. 166, no. 546.